Landcom develops award-winning places for the people of NSW. 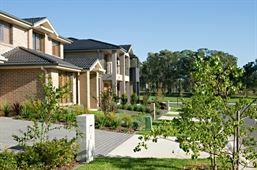 It is a state owned corporation that partners with the private sector to create quality residential communities that demonstrate leadership in sustainable urban development. Landcom unlocks surplus or underutilised government-owned sites or large institutional land holdings to create vibrant urban places with housing choices, community facilities, open spaces and access to services. They have a long and proud history of building award-winning sustainable urban developments and delivering civic projects that add economic and social value to the state.